I have a special treat for you today! If you sew clothing, you probably know of Tasia St. Germaine’s pattern line, Sewaholic Patterns (that is, unless you’ve been living under a rock, in which case, please come out). 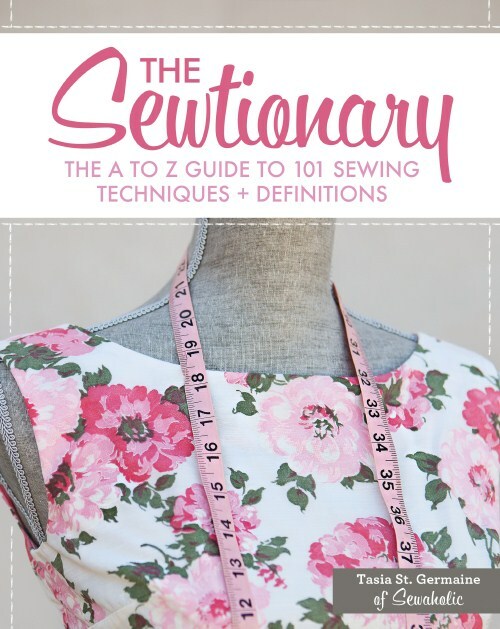 Tasia has just released a book, and I’m thrilled to be a part of her blog tour for the release of The Sewtionary! I have the utmost respect for Tasia. 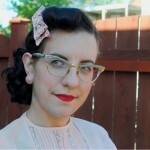 Her blog was one of the first I found when I started getting into sewing. Her patterns are clear and easy to understand, as is her writing style. And that’s exactly what you get in her book, too. 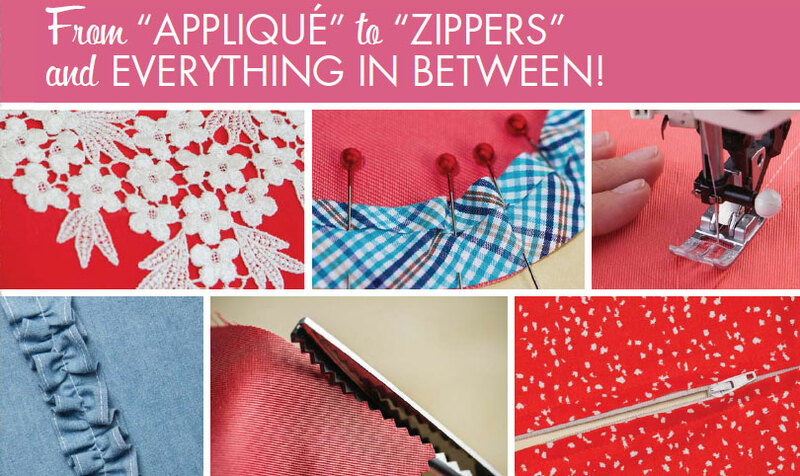 The Sewtionary is literally an A–Z of sewing terms. But it’s so much more than just definitions! It really is a great reference book. Each term included in the book has a page that answers the questions of “What is it?” and “When do you use it?” in a very concise manner. And you’re not just getting that alone. There’s also additional pages for every single item in the book with further instructions. (Seriously—about 250 pages worth.) Want to learn about boning? Or how to determine length when you’re gathering ruffles? Why and when should you stay stitch? Or maybe how to sew an underlining? You name it, it’s covered in The Sewtionary. Whether you’re a beginner or more advanced, there’s bound to be something in this book for you. Want to hear a little more? Read on for my interview with Tasia! 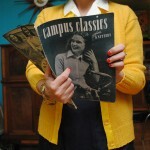 Q: What do you feel makes Sewtionary different than other modern sewing books? A: It’s different because it’s designed as a solid reference book, covering 101 different skills and definitions. Many new books are project-based, but I wanted something that focused on sewing techniques and tips which you could apply to any project. 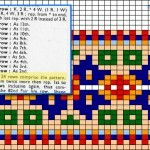 The techniques are photographed in colour, featuring photos rather than diagrams, so it’s so easy to imagine what it will look like on your project. It’s organized alphabetically so you can quickly find what you need. I included ‘why’ you might want to know something as well, because it’s easy to learn only one type of seam finish and stick to one type of zipper. This helps explain why and when other methods might be a good choice. Also, it has that great coil binding, which I’m told makes producing the book more expensive! It looks that way too. I wanted this to be a book that lasts, both because the information is useful and thorough, but also because the coil binding and photo format makes it a well-designed book as well. Q: Can you tell us a little bit about hatching the idea to bring The Sewtionary to life? A: It wasn’t my idea, if you can believe it! I was contacted by a publisher who saw my ‘Sewtionary’ page on the blog and thought it would make a great book. We spoke on the phone and my next task was to fill out the proposal form and finalize the book concept. They would present it internally, and if the whole publishing team thought it was a good idea, then it would be a go! I did some research to see what other books were out there, as I wanted to have a book that was different and unique, standing out on the shelf. (With its big pink spine, it sure does!) I thought about what would make this book amazing, and what its potential users might want in a book. I imagined that schools and sewing studios might use a book like this, sewing instructors, and of course hobby sewers. That’s when I thought of the coil binding and the photos for everything. The rest of the book concept—the A-Z format and the title—was pretty much decided, since the Sewtionary page on my blog was organized alphabetically and that’s what had attracted the publisher. There was a stage where I had to submit alternative titles, and I wasn’t sure of what else to call it, since it had always been the Sewtionary to me! Luckily they went with my made-up word for the final title. Once the proposal was submitted, I had to wait to find out if they’d accepted the idea. There’s many other factors besides whether the idea is any good, for example, if there are too many similar books coming out that year. I wasn’t letting myself get too excited about the idea until it was accepted—and it was! From that point I signed a contract and started writing and sewing. Q: I love the level of detail in each item you cover in the book. You really run the gamut from basic to more advanced techniques. 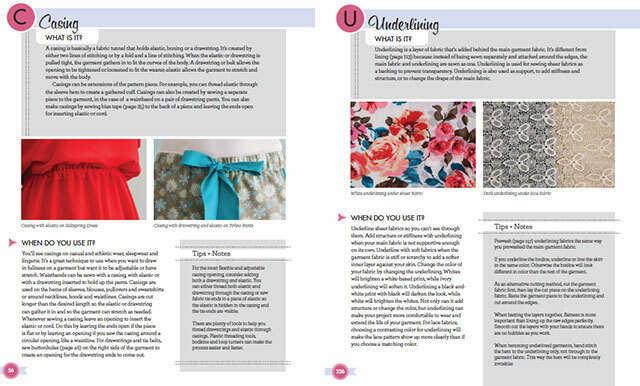 Was your goal for the book to be accessible for both beginners and more advanced sewists alike? A: Absolutely! I also think there’s no limit to what you can achieve at a certain skill level. Especially if you are determined, and don’t get frustrated if you make a mistake. Shoulder pads and padstitching are not incredibly complex, but do require practice and can seem complicated if you’re newer to sewing. I am hoping that clear photos and detailed instructions encourage people to try out new things! I wanted it to show sewing definitions of all kinds, not limited to beginners and not restricted to advanced sewers. Q: Are there any techniques in the book that you’re particularly pleased that you were able to include? You did a great job doing so, but I imagine some of them were difficult to condense into just a couple of pages of text and photos! A: For sure, I could have doubled the length of the book if I’d included every single thing I thought of! I’m quite happy with how the Underlining section looks, I think the definition photo illustrates the purpose well. Border Print isn’t technically a sewing technique, but many people are attracted to border prints and I wanted to show how to work with them. The original Bound Buttonhole section was twice as long, but we did a good job of including as many photos as we can to make it super clear, while still giving the other terms enough space. It really made me appreciate how much work goes into producing a book! With blogging I can put a hundred photos in a post if I feel like it, but with a book the goal is to be clear and concise. Q: What makes you happiest about sharing your expertise and love of sewing with others (in this book, your pattern company, and/or your blog)? Interesting question! I love that it brings me closer to other people who sew. 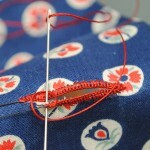 I’m an introvert, I’m not a hugely social person but I can talk for ages if it’s about sewing or knitting! I love that I get to do something I believe in every single day. I love that I’m using everything I’ve learned—from school, from my mother, from friends who sew, from working in the fashion industry—and sharing it with people who care! I love that I’m more comfortable with my body, the more I sew and the older I get. I want to share that feeling with anyone who’s frustrated with buying clothes off the rack. You can make clothing to fit, you can choose the perfect colour and print for you, and you can make something original and special! We’re not limited to what’s in fashion or ‘on trend.’ We can make anything—sewing gives you freedom! I think that’s the message I want to spread. Learn to sew and you can choose exactly how you want to look. You have total freedom to express yourself, and it’s a wonderful process of lifelong learning. Every project is an opportunity to learn something new, practice your skills, and show off your personality through your clothing. Q: If you could give a few words of advice to someone who was having a hard time taking the plunge to try out sewing clothing, what would they be? A: I think if I had the chance, I’d ask what they were afraid of? If it was the fear of not being good at it, I’d say that everyone starts out at the same level. With every project, take on one new skill, and before you know it the things you thought were impossible are not so scary after all! Think of mistakes as a chance to learn. Know that your first projects might not be your favourite garments to keep forever, but it’s all part of the process. Make a friend who sews who can help you with fitting. Even better if your sewing friend is more experienced and can help you when you get stuck. Don’t compare yourself to people who have been sewing for decades, instead focus on improving your sewing one project at a time. There’s so much to learn, but think of it as an opportunity. This hobby will keep you challenged and interested for a long time! If it’s not having the time to sew, I’d say that we all struggle with too many projects and not enough time. Cut out a project on the dining table while watching TV. Choose simpler projects for faster results. Or allot 15 minutes a day to sew, even short bursts of sewing time are better than no time at all! Also, the time will go by whether you learn to sew or not. Three years from now, you’ll either have practiced your sewing for three years or still be waiting to start. Start now! Thanks to Tasia for her insights into the book and sewing! I always love hearing about people’s creative processes. Now check out the other stops on the Sewtionary blog tour, including a few chances to win a copy of the book yourself! I did actually mean to say DOESNT make me feel like an idiot….as clearly I am one. Isn’t Tasia the greatest! Love her patterns too! This book sounds great! Just what I’ve been looking for actually! I usually get stuck in patterns when reading the instructions and have no idea what they are talking about! This book sounds like just the trick to helping me figure these things out! Thanks for the review!!! OH MY! I so want this book! Great interview ! Excited to add this book to my sewing station!